We are dedicated to getting outstanding legal results quickly and efficiently for our clients. Jason R. Moseley graduated from the Valparaiso University School of Law in 2010. 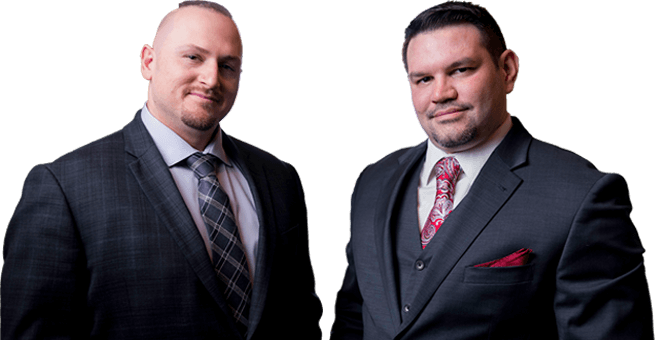 He formed the Law Offices of Jason R. Moseley in 2010, and since that time he has practiced law in the areas of Bankruptcy, Criminal, Family, and Personal Injury. Jason believes strongly in taking a practical, straight-forward approach to solving client legal issues. He is married to his lovely wife Bridget, and has two children, Taylor (16) and Jason (13). Born and raised in Chicago Heights, IL, Jason attended Marion Catholic High School, where he played baseball and participated in Spartan Choir. 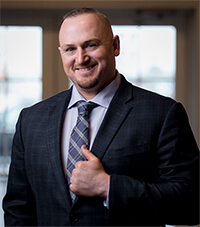 After high school, Jason began working in the Fiber Optics and Tele-Communications fields before deciding to follow his true calling, the practice of law. Determined, he attended and graduated from the University of Phoenix with a Bachelors of Science in Criminal Justice Administration in 2007, subsequently attending the Valparaiso School of Law. 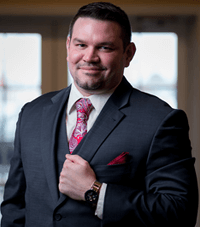 Currently, Jason R. Moseley is a managing partner at the Law Offices of Moseley & Martinez, LLC with offices in Merrillville and South Bend Indiana. Miguel Martinez has practiced law in Indiana since 2010 and has represented clients in a number of areas, including bankruptcy, personal injury, criminal and family law. Presently, the bulk of his practice is focused towards helping his clients file for relief under Chapter 7 and Chapter 13 of the U.S. Bankruptcy Code. Born and raised in Arizona, Mr. Martinez began college full-time at the age of 16 and received his undergraduate degree from the University of Arizona, majoring in Music Business. Mr. Martinez then relocated to the Midwest and obtained his Juris Doctor (J.D.) from Indiana University School of Law in Indianapolis. He is currently admitted to practice law in Indiana and Colorado. In addition to delivering legal results and personal attention to each of his clients, Mr. Martinez also lends his efforts and resources to the community in which he resides and is an active member of St. John Cantius Catholic Church in Chicago. Away from the office, Mike enjoys spending time with his wife, Erin, and their three children. An avid musician, he plays guitar, bass and drums and over the years has contributed his vocal talents to a number of rock and blues projects. Mike values his faith, family, and community above all and strives to serve his clients with candor, confidentiality and professionalism in all their legal needs. A graduate of Valparaiso School of Law, Daniel W. Matern has focused his practice almost exclusively on consumer bankruptcy. 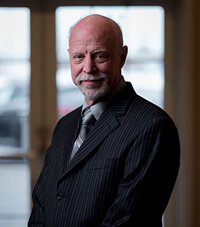 Daniel has several thousands of bankruptcy filings to his credit and takes pride in getting his clients the relief they deserve in the courtroom. In addition to his legal pursuits, Daniel also is also active in local theater and enjoyed a career in stand-up comedy before being admitted to the practice of law. An accomplished musician, Daniel plays cello and piano and delights in the antics of his cat, “Molly,” in his spare time.